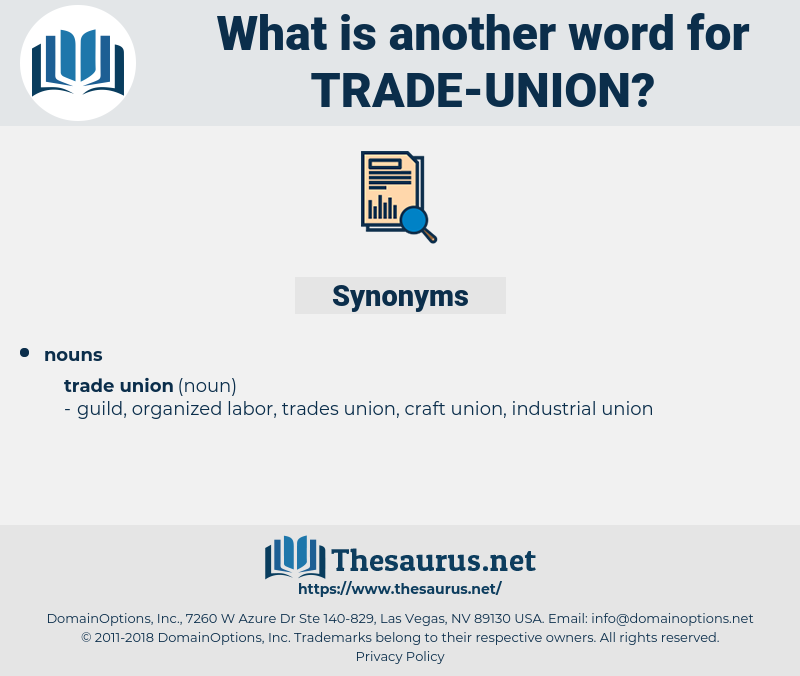 What is another word for trade union? A society of workmen in any particular branch of industry, organized for the protection of their interests. 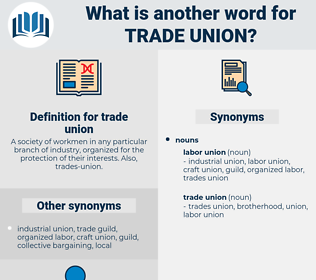 Also, trades- union.